Back in 2013, audiences were introduced to 'Now You See Me' which gained mixed responses. 3 years later 'The Horseman' are back to try and amaze audiences with their amazing magic skills and to hopefully build on the good things created from the first and be a universal success. 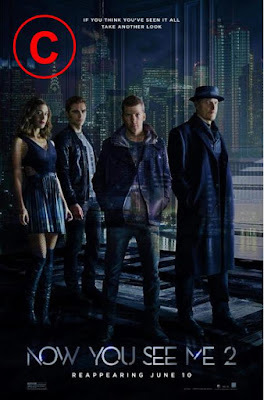 Unfortunately, not even magic was able to save this film entirely. After returning from their hiatus, The Horseman (Woody Harrelson, Jesse Eisenberg and Dave Franco) accompanied by new member Lula (Lizzy Caplan) have to flee a stage show as it goes all wrong. They are exposed as is FBI agent Dylan Rhodes (Mark Ruffalo) and the try to escape but to unfamiliar territory. They end up in Macau, China where they are brought to the thought to be dead Walter Mabry (Daniel Radcliffe) who forces them to steal a computer chip, that will grant him access to every computer in the world. The film really holds itself on the magic aspects of the film and how it fools you a lot. However I didn't really feel amazed at this film at all with the magic aspects especially in the longer tricks. The film takes out big chunks and then adds them in much later to try and wow you but it really didn't strike me as that impressive. There are twists for days in this film as it keeps changing everything that you do start to get fed up with it. You can't really trust anything you see in this film as it will probably turn out to be false just outta nowhere. For the magic tricks themselves, it is a very mixed bag. Some of the tricks are very cool and entertaining which is what the audience will like to see. However at some points, they aren't as good. Take the heist scene in particular. In this scene there is a whole load of things happening which leads to big contrasts in quality. Some of them are really smart and clever which work really well. Others are painfully obvious that something is happening and should've been caught red handed but weren't just to allow the story to carry on. Once you see that even the most blatant proof, the stakes are lifted as surely if that didn't get them caught, nothing will. However I would be lying if I said that some of the stuff going on wasn't cool to watch and will definitely bring some enjoyment. Something that is done very well within these films are the performances. 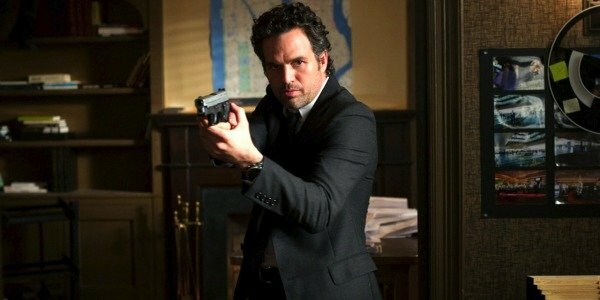 Mark Ruffalo is excellent once again and is one of the most interesting characters who has to deal with a lot as well as looking over the Horseman. 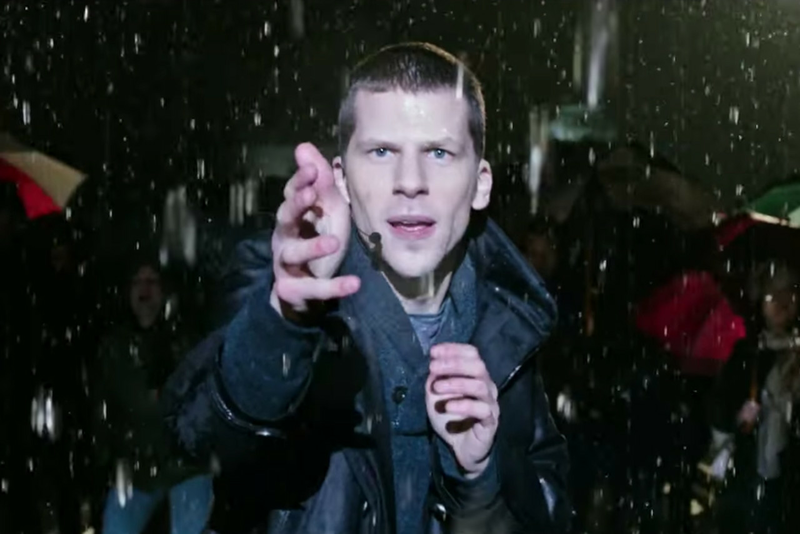 The other standout I feel is Jesse Eisenberg who does very well as his arrogant character Daniel Atlas which he pulls off very well. Lizzy Caplan is in to replace Isla Fisher and she does bring a fresh character to the film as she is very lively and cheeky which is a good contrast compared to the others. She did well to replace Fisher's character and was entertaining throughout the film. The cast overall does a very good job as they keep the film entertaining as they bicker and challenge each other a lot. However a very low point of the film comes in the form of Woody Harrelson. He plays his normal character Merrit McKinney which he does well. Unfortunately in the sequel, he's doing double duty as his twin brother Chase. One of the most annoying characters I have seen this year who annoyed me oh so much throughout the film and who never got any better or enjoyable as the film progressed. The finale of this film as well is very underwhelming. They look to be setting up a huge final across London with tricks that will amaze. Apart from Atlas' trick the other acts were not that impressive considering how out of this world the movie wants you to think the tricks are. Due to it not being that impressive, it certainly does drag on and you just want it to move on. Not a terrible movie, but it's style over substance hinders it a lot. Some good performances make the film enjoyable but not enough to completely save the film. So have you seen 'Now You See Me 2'? If so what did you think of it? I hope this review was useful for if you were planning on seeing the movie. Once again, thank you for reading my review, it is much appreciated!